JON SCHAFFERs PURGATORY [ICED EARTH] - PURGATORY LTD. EDIT. (DIGI) | Online Shop | Wizard LTD. Album: "PURGATORY LTD. EDIT. 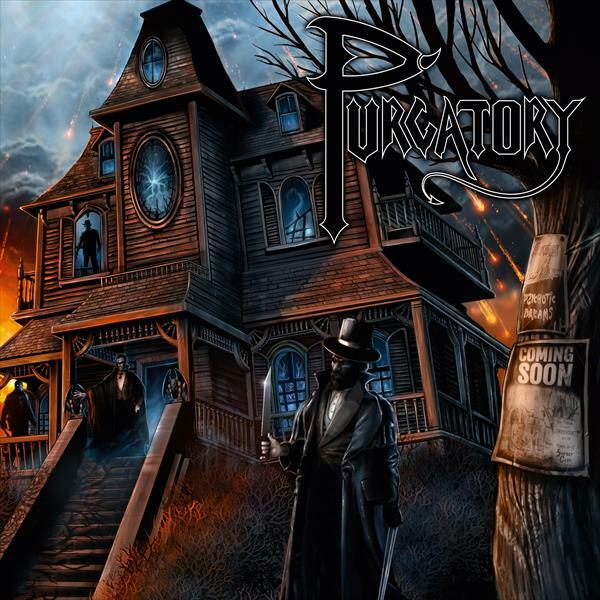 (DIGI)"
Here comes something nice for all fans of real US metal: PURGATORY, founded in 1985, was a US metal band and the predessessor of the legendary ICED EARTH. ICED EARTH’s master mind Jon Schaffer has teamed up with PURGATORY’s original singer Gene Adam (also vocals on ICED EARTH’s self-titled debut album), Mark Prator (drums – also known from his work on ICED EARTH’s “The Dark Saga” album), Bill Owen (original bassist of PURGATORY), Jim Morris (guitars – known as producer and owner of Morrisound Studios) as well as Ruben Drake (Demons & Wizards, Sons Of Liberty) on bass to newly record five old PURGATORY tracks, written in 1985/1986. The result is a 25-minute prime example of real, straight US metal at its very best. Everyone into ICED EARTH or bands such as OMEN or LIEGE LORD must check this out. Beside the fantastic production, combining the spirit of the glorious 80s metal scene with an up-to-date sound, one should especially recognized the breath-taking vocal performance of Gene Adam, which makes this gem of real US metal a mandatory purchase. The EP is going to be released as limited Digipak and 12” vinyl MLP with 4-page LP-booklet and an etching on side B (of course on 180 gram vinyl and of course mastered for vinyl for best audio quality). A cool cover artwork by David Newman Stump and Roy Young (known from their work on ICED EARTH’s recent studio album “Incorruptible”) as well as liner notes by Jon Schaffer, Gene Adam, Bill Owen and Greg Seymour (the original bass player of the band) complete the picture. To avoid confusion with bands of the same name, the “Purgatory –EP” is released under the name JON SCHAFFER’S PURGATORY.